Some schools held assemblies and other events to augment or replace the student walkouts. 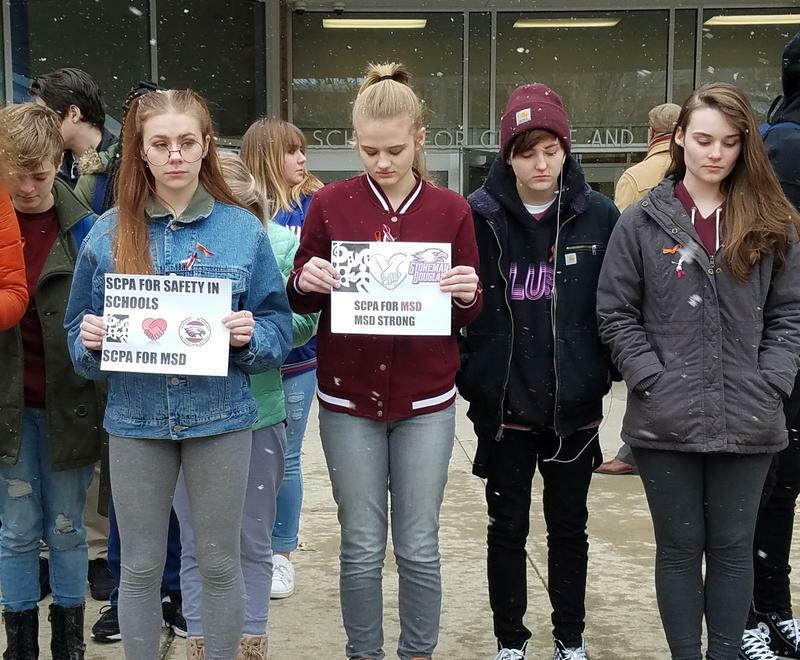 More than 100 teenagers at Rocky River High School joined thousands of their fellow students across Ohio Wednesday who observed 17 minutes of silence in honor of the victims of the Parkland, Fla., school shooting. There, the demonstration was about more than just the victims. Marra reports on Rocky River. 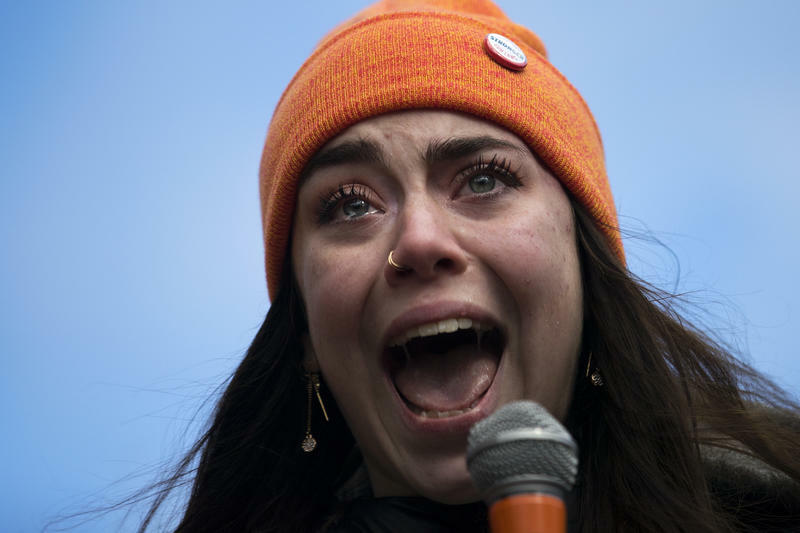 A number of student demonstrations across the country were organized solely to honor those killed in the nation’s third deadliest school shooting on Feb. 14. But in Rocky River, the student organizers were also calling on members of Congress to enact stricter gun laws to prevent future shootings. Seventeen-year-old senior Ariel Russell wants an increase to the minimum age for purchasing firearms and to restrict semi-automatic weapons and high capacity magazines. Her classmate, 18-year-old Duncan Feighan, agrees. Wednesday marked one month since the Parkland shooting. 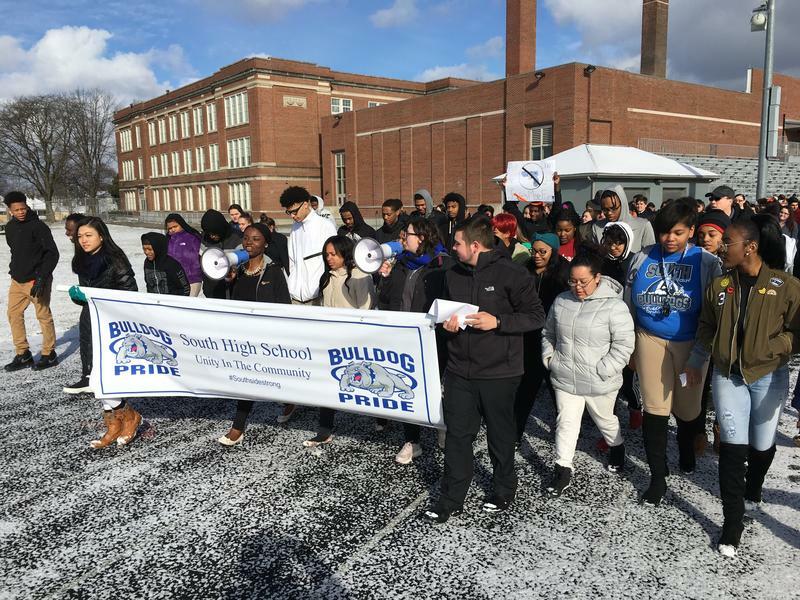 Students at Westlake High School were among the first in Ohio to hold a walkout as more students held demonstrations across the country, Westlake students say they decided to move beyond advocacy to action. Sixteen-year-old Molly Finucane helped organize a Feb. 21 walkout at Westlake High School to honor the students who died at Marjory Stoneman Douglas High School a week earlier. But Wednesday, Westlake students decided to take a different approach. Finucane, her classmates and her administrators worked together to organize the fair that included a station to register to vote and help writing letters to members of Congress—some in support of and some against additional gun restrictions. 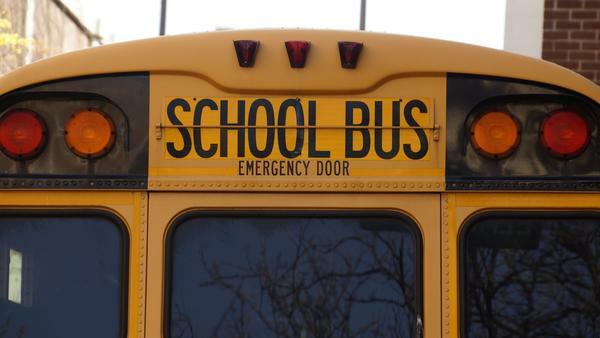 Dozens of Northeast Ohio schools held vigils Wednesday, gathering outside their schools for 17 minutes of silence to remember the students and teachers killed in Parkland. 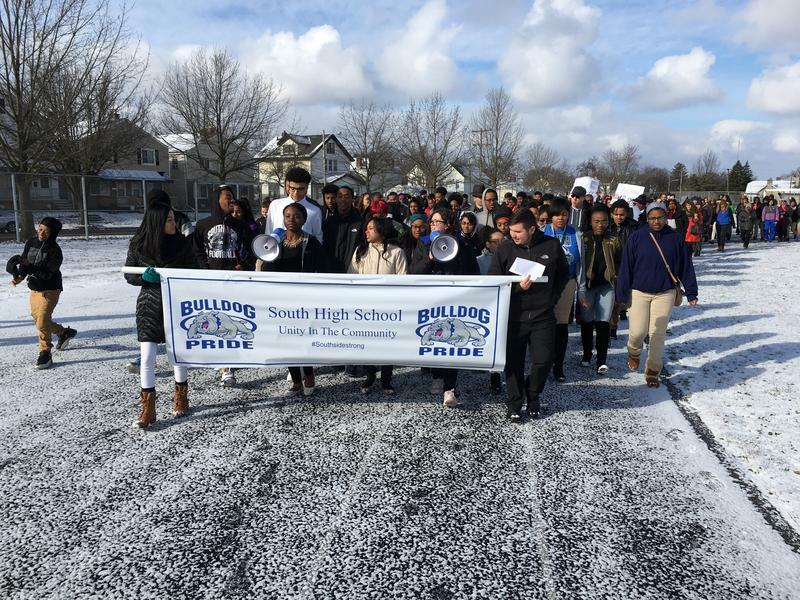 On a snowy football field, students from Columbus South High School joined thousands across the country on Wednesday morning in holding a demonstration for stricter gun control. Last weekend, Gayathri Mudigonda, Meena Jani and Noah Spaulding-Schecter gathered in a house to talk about why it had to happen—why, in just a few days, they would get up and leave class for exactly 17 minutes. "Frustrated" Tri-State Students: Parkland "Could Have Been Any One Of Us"
Tri-State students braved frigid temperatures and a pop-up snow squall to walk out of class Wednesday as part of a national effort to protest gun violence and remember the 17 victims of Marjory Stoneman Douglas High School in Parkland, Fla.
At South High School in Columbus, Ohio, students stepped outside in frigid weather and said 17 names, releasing a balloon for each one. In Orange County, Fla., 17 empty desks sat in the Wekiva High School courtyard. Students sang — "Heal the world, make it a better place."